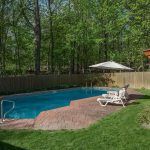 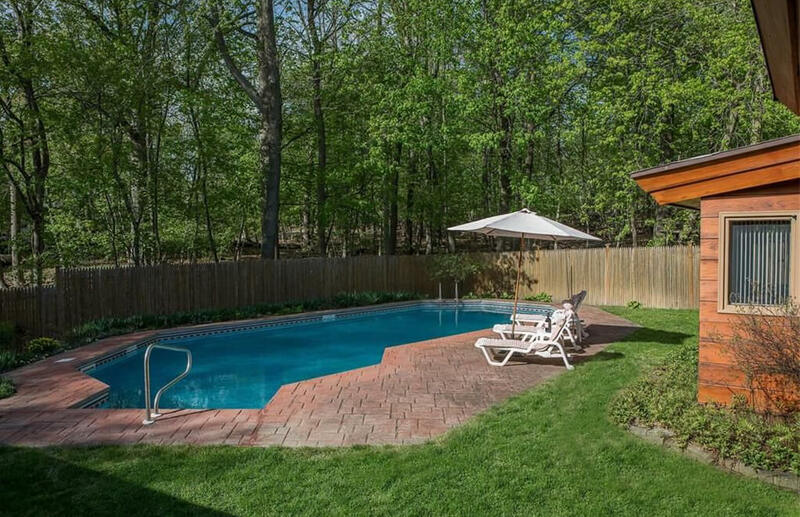 The Pleasantville home is a four-bedroom, three-bath property nestled in a community that began with a site plan designed by Wright in 1947. 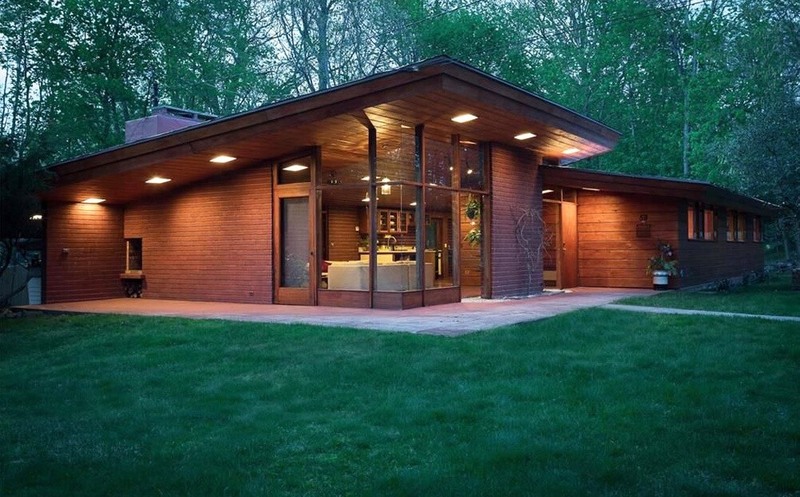 The idea was to construct modest homes on circular one-acre lots. 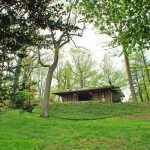 Domoto, who designed the home, was also a landscape architect, meaning that the connection to nature would not be overlooked. 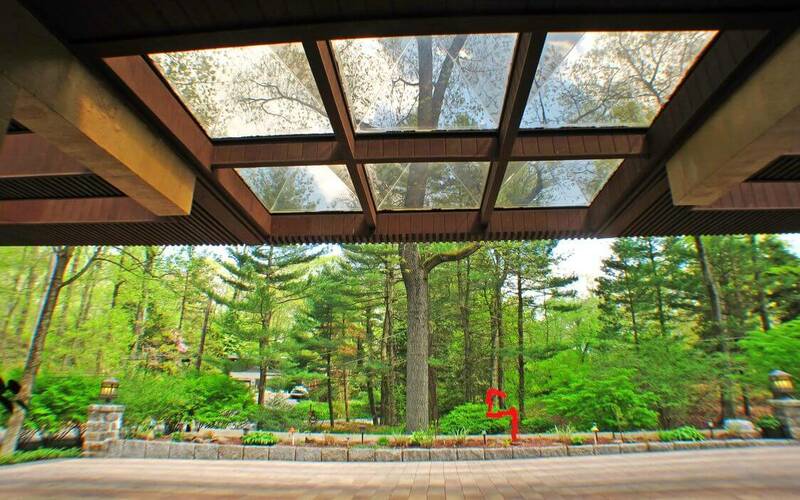 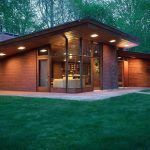 He planned this house with the “Usonian principles” in mind, meaning big, open views from the living room onto the surrounding landscape. 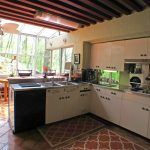 The kitchen follows the same ideals of integration and was designed directly into the living space. 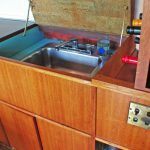 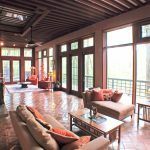 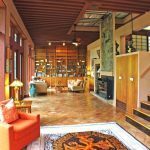 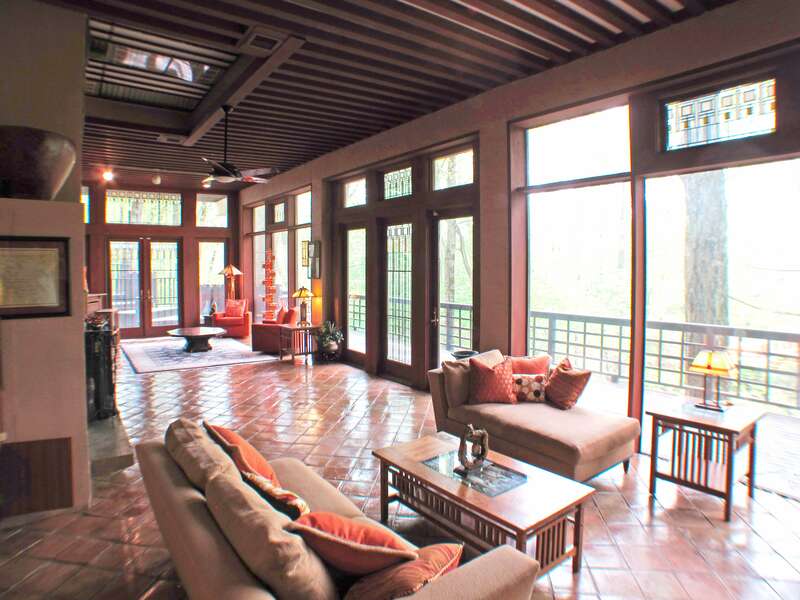 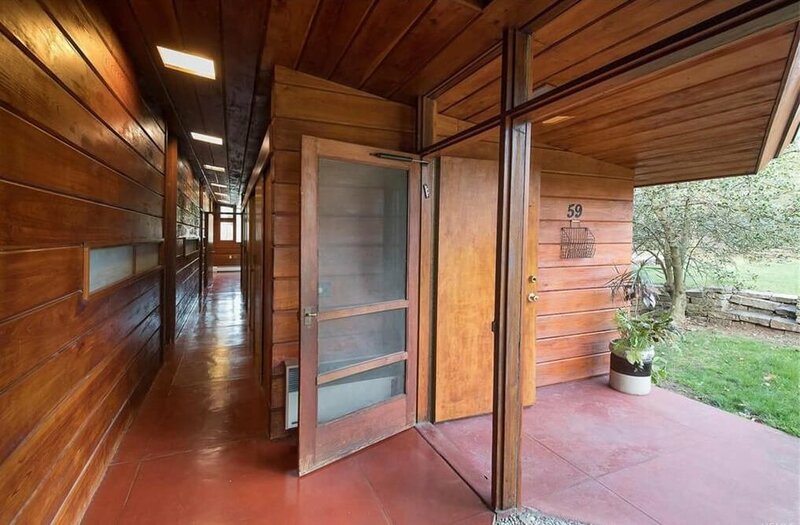 The interior is reminiscent of Wright’s most striking homes, with rich wood and glass details throughout. 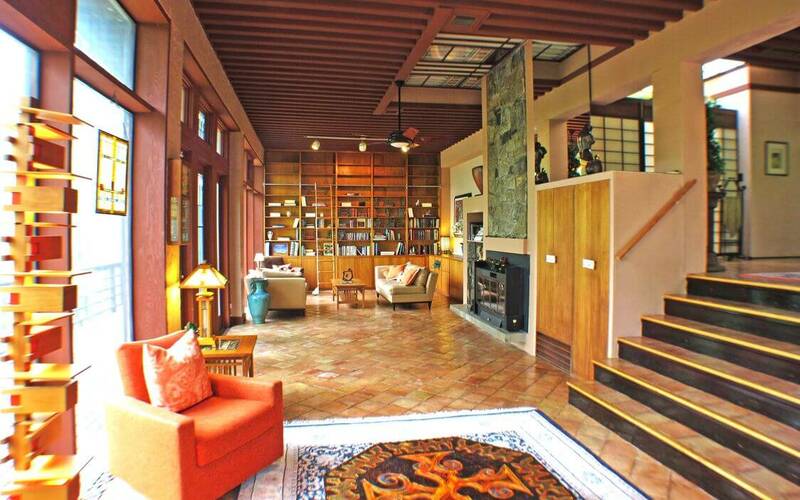 Rooms are lined with built-in shelves, beamed ceilings, and Wright-inspired stained glass. 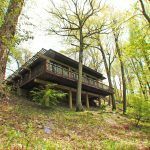 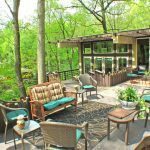 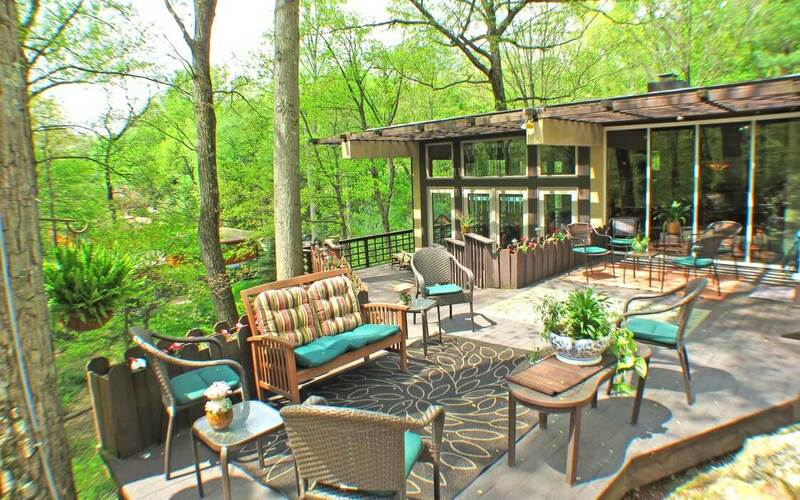 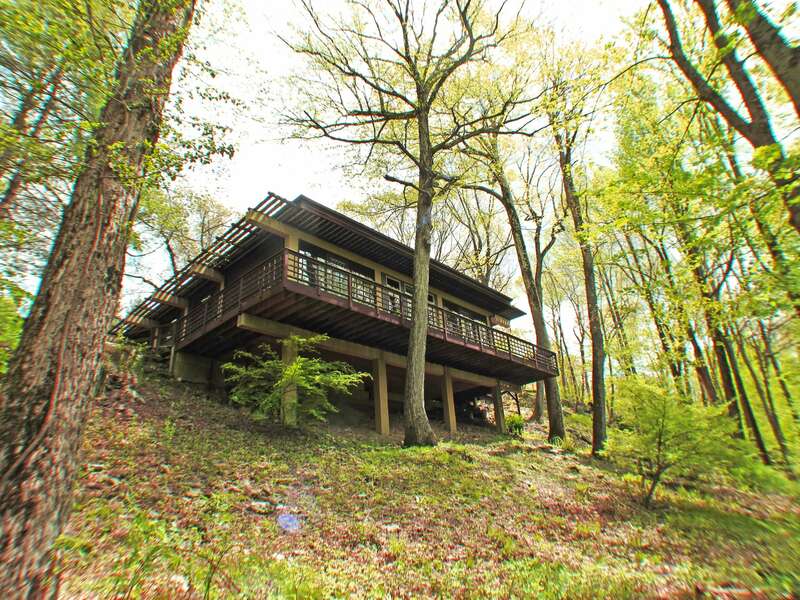 The Dobb’s Ferry home holds four bedrooms and two bathrooms and was completed in 1953. 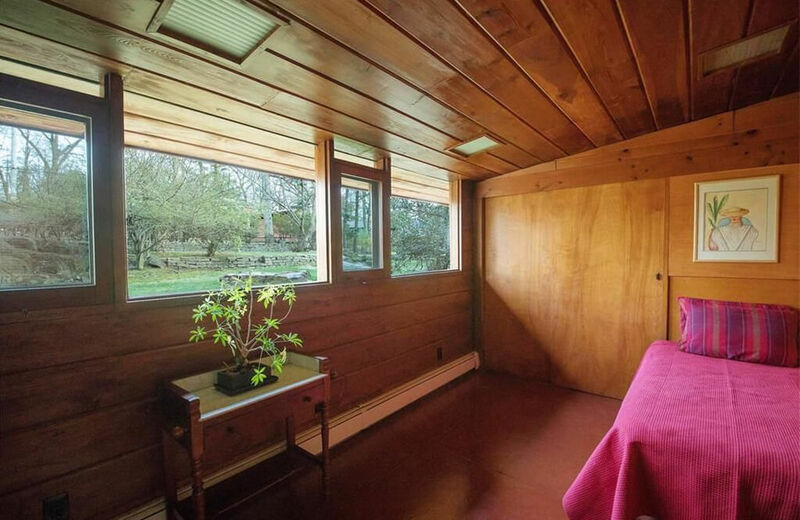 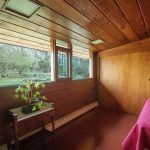 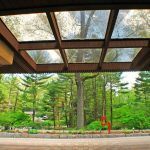 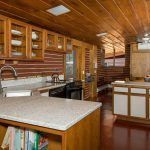 Architect David Henken also followed the Usonian principles, as horizontal wood paneling and plentiful windows emphasizing the outdoors. 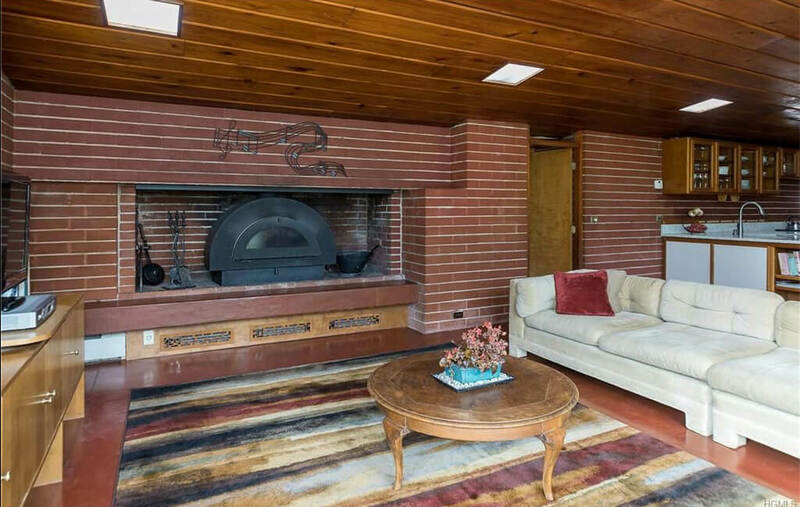 The massive fireplace, serving as the living room’s centerpiece, was a typical Wright-inspired feature. 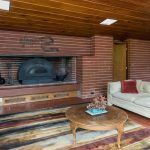 The architect had advocated for fireplaces to be integrated into the masonry of the actual building. 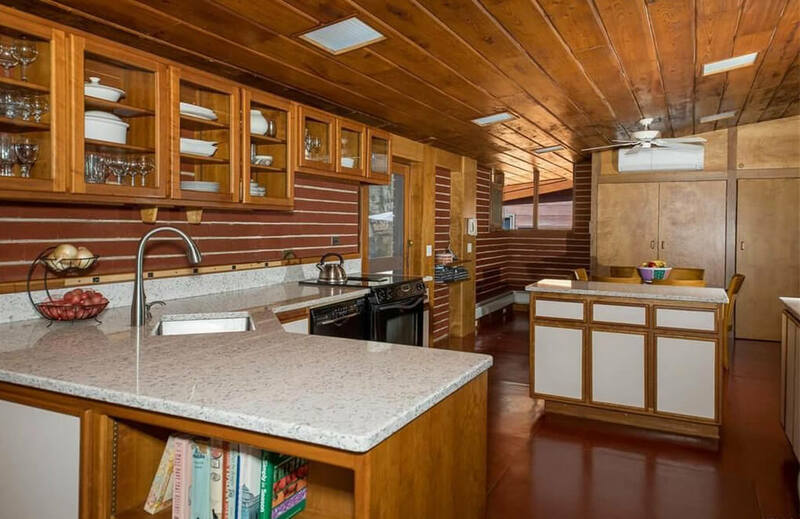 The kitchen was kept close to the living room, and the bedrooms were left small with built-in shelving. 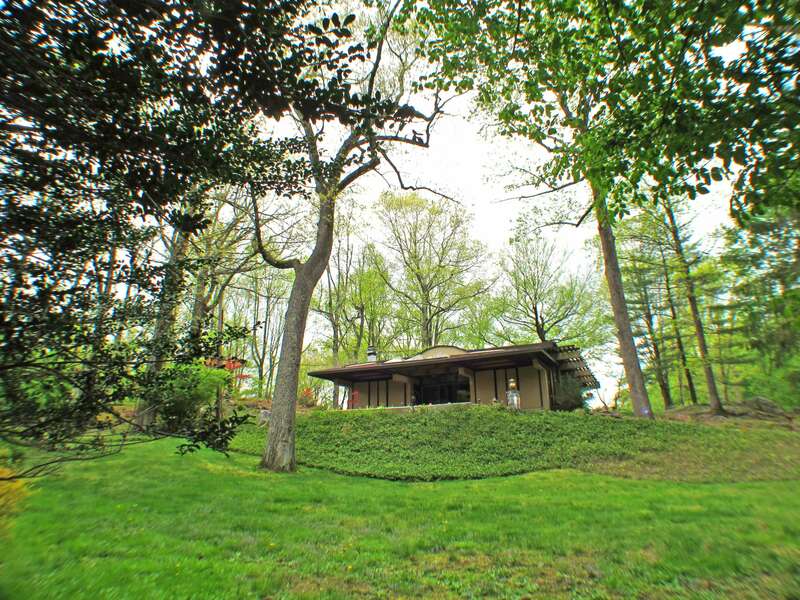 One addition to this property, not necessarily envisioned as a Usonian principle: the pool. 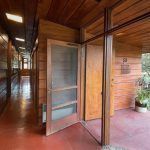 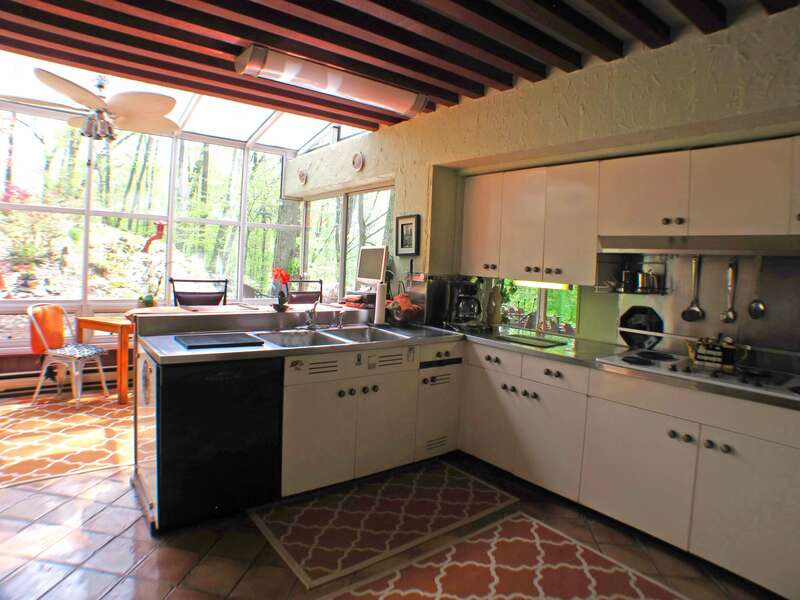 It looks like a great modern perk considering the rest of the home, and Wright’s vision was well preserved over the decades.